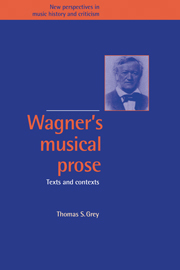 While acknowledging that Pierre Boulez is not a philosopher, and that he is wary of the potential misuse of philosophy with regard to music, this study investigates a series of philosophically charged terms and concepts which he uses in discussion of his music. 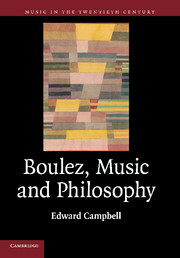 Campbell examines significant encounters which link Boulez to the work of a number of important philosophers and thinkers, including Adorno, Lévi-Strauss, Eco and Deleuze. 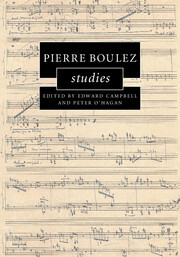 Relating Boulez's music and ideas to broader currents of thought, the book illuminates a number of affinities linking music and philosophy, and also literature and visual art. 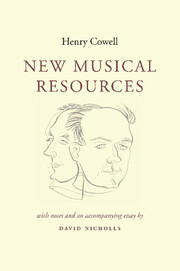 These connections facilitate enhanced understanding of post-war modernist music and Boulez's distinctive approach to composition. 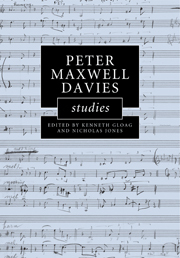 Drawing on a wide range of previously unpublished documentary sources and providing musical analysis of a number of key scores, the book traces the changing musical, philosophical and intellectual currents which inform Boulez's work. 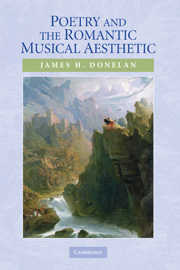 Edward Campbell is a Lecturer in the Music Department / School of Education at the University of Aberdeen where he co-ordinates the music education programmes and teaches courses in aesthetics, contemporary music, music education and visual culture. 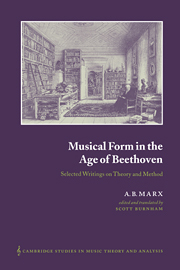 He is also a participant in the university's Centre for Modern Thought.